This spring break, St. Andrew's-Sewanee students will return to Kingston, Jamaica to work on a service project. Since 2012, SAS students and faculty have travelled to Kingston to provide service to communities in need. SAS has established relationships in several neighborhoods including Trench Town, Boys' Town, and Riverton. The community leaders of these neighborhoods help guide the course of the projects each year. 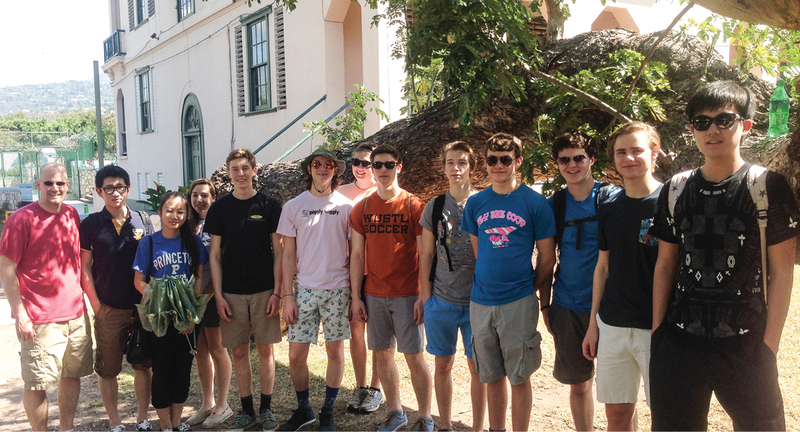 During past service trips, the SAS students have rebuilt a roof for a family of four, tutored preschool age children and assisted their teachers, and painted and contributed to the upkeep of a large school room and locker room for the Boys' Town soccer club. This year, SAS students will help replace and rebuild the stands for the soccer facility and work with multiple classrooms at the Boys' Town schools. Boy's Town is a lively community center complex housing a soccer stadium (home to the Boys' Town professional soccer team), two schools for children ages 3-12, multiple after school tutoring programs, a cricket team, a boxing team, a computer lab, an audio recording studio, and the Father Sherlock Hall. To help fund this service trip, The Mountain Goat Market in Monteagle will host a fundraiser 5 to 8 p.m. on Thursday, Feb. 18. A portion of the proceeds from dinner that night will be donated to the Jamaica outreach group. Students participating in the trip this year will be there to talk about their upcoming work, show pictures, and share in conversation.